My lack of updates regarding the release of my next two books: The Darkness After and The Prepper's Workbook has been due to the fact that firm release dates have not been set and I've been waiting on the final word from my publisher. 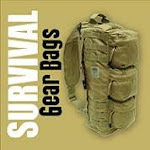 Some changes have been made to the format of The Prepper's Workbook and it will hopefully still be ready for release in September after a final reorganization of the material. 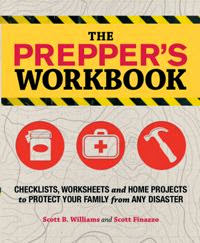 The improved format of this book that my coauthor and I have been working on will make it a much more useful addition to any prepper's library and hopefully it will be worth the wait for those of you who have already preordered. The Darkness After was completed early in May and all final revisions and proofreading done a few weeks ago. I'm still awaiting word as to when it will be sent to the printer, and have heard that it should be any day now. The publisher did change the publication date on Amazon from mid-June to early August, but I've been assured that it will likely be available before then, probably in early July. I will post an update here as soon as I know for sure. Meanwhile, here's a little more about the book. Some readers may recall that I have said I'm working on a sequel to The Pulse, and there will certainly be a sequel. 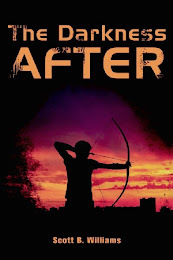 The Darkness After is not that sequel, however, but rather a parallel story with different characters facing the consequences of the same event. The action takes place in the same general region as the final part of The Pulse, specifically New Orleans and south Mississippi. As I've mentioned before, part of what inspired the idea for The Pulse is what I witnessed personally in the aftermath of Hurricane Katrina in this region. With the grid down for just a few weeks in the New Orleans area and much of south Mississippi and south Louisiana, the chaos was bad enough. These books explore the possibilities of how bad it might get if the power was off for months, or even longer. The two main characters in this story are a bit younger than even the college students, Casey and Jessica, in The Pulse. 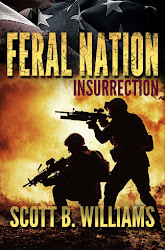 But despite this, 16-year-old Mitch Henley and 18-year-old April Gibbs both have unique backgrounds and strong motivations to get where they're going that give them the edge in a lawless world of anarchy and violence. Massive solar flares bombard the Earth. An intense electromagnetic pulse undermines America’s power grid, wreaking havoc. Panic and chaos ensue in cities like New Orleans, where 16-year-old Mitch Henley was stranded after driving his parents to the airport. The son of a game warden in a rural Mississippi county, Mitch is an expert hunter and woodsman and knows he can survive back on his family’s remote 600 acres. With no way to know if his parents’ plane landed safely or crashed because of the pulse, Mitch sets out alone to walk home. But what Mitch hadn’t counted on was meeting April: a determined young woman who has an even more compelling reason to make it to her destination. Thrust into adulthood at an early age, April is a fighter who won’t back down, and when the two of them pair up to face the dangers ahead, they endure and overcome one setback and disappointment after another. Set in the same anarchy-and-desperation-reigned world of the author’s dystopian thriller: THE PULSE, THE DARKNESS AFTER is a frightening look at how fragile our technologically dependent lifestyle really is. So that's the latest and as much as I know regarding the release dates. As soon as I get copies in hand of each new book, I will post a book giveaway here so reader's will have a chance to get a free, signed copy.